Mother’s Day has passed, flowers are wilting in vases, and colorfully witty or sentimental cards are still floating around in many households waiting to be stashed away as keepsakes. 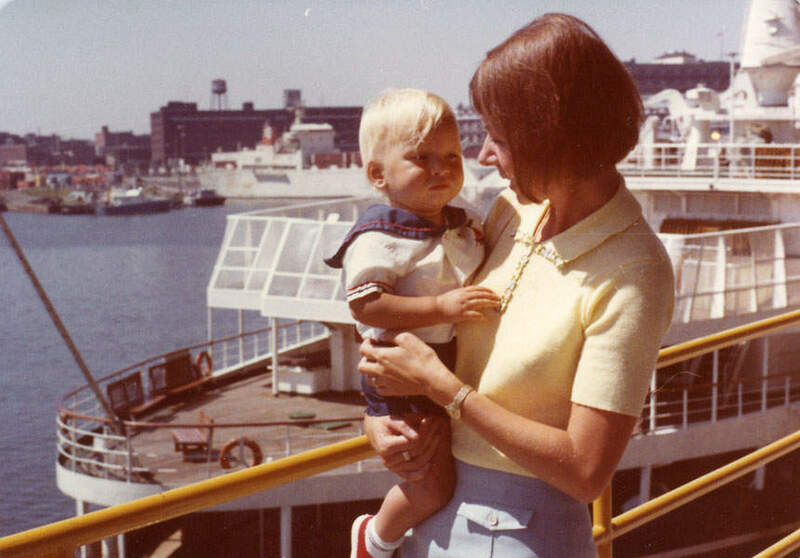 Most mothers are hopelessly sentimental. I am one of them. 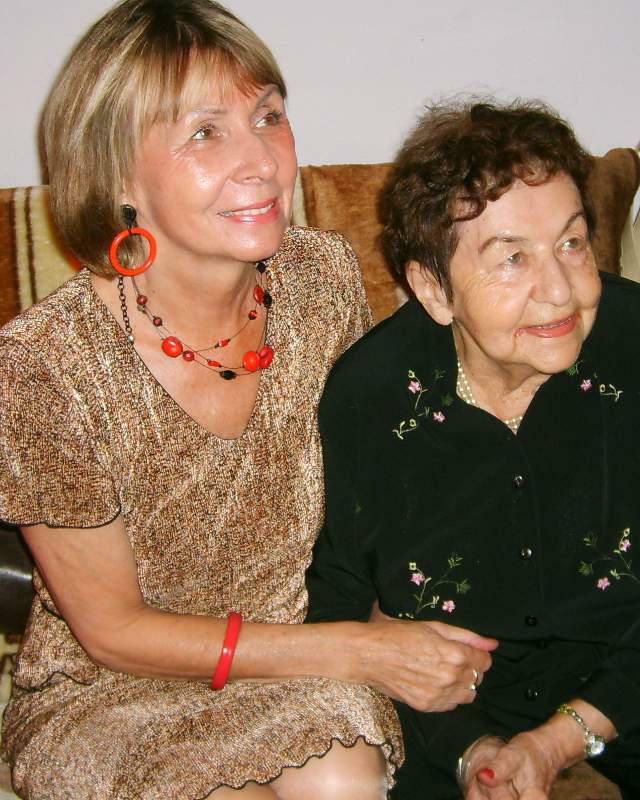 This year my Mother’s Day was a mixed bag, some celebration and quite a bit of reminiscing. 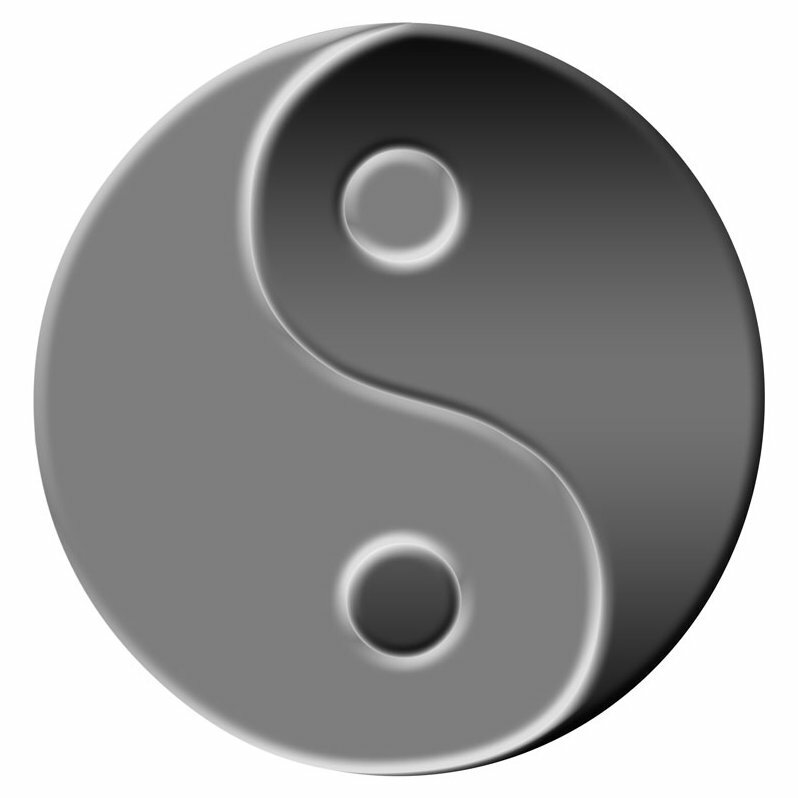 I looked back into the past and into the magic glass ball for answers to what the future will hold. 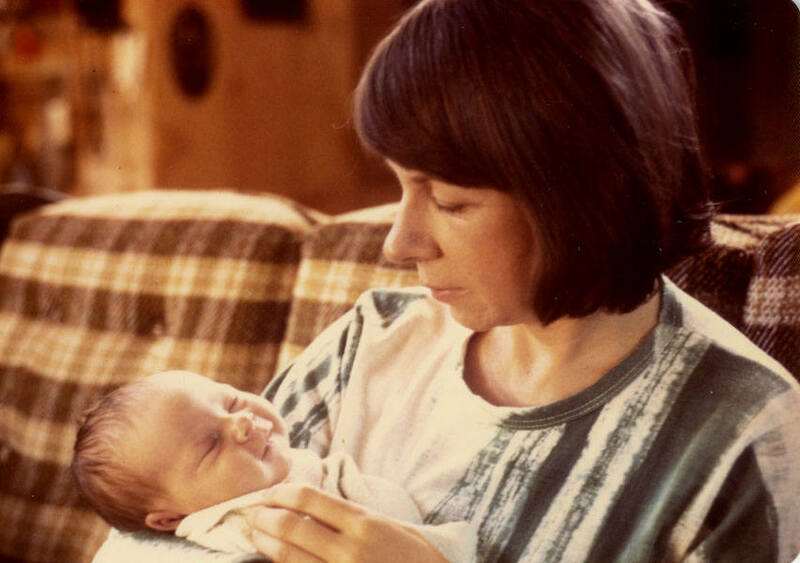 My motherhood has not been an easy one — probably none of them are, but on Mother’s Day we — mothers — want to and are expected to be full of smiles and happiness. But what if you are not that happy, what if you are disappointed, what if you are hurting? 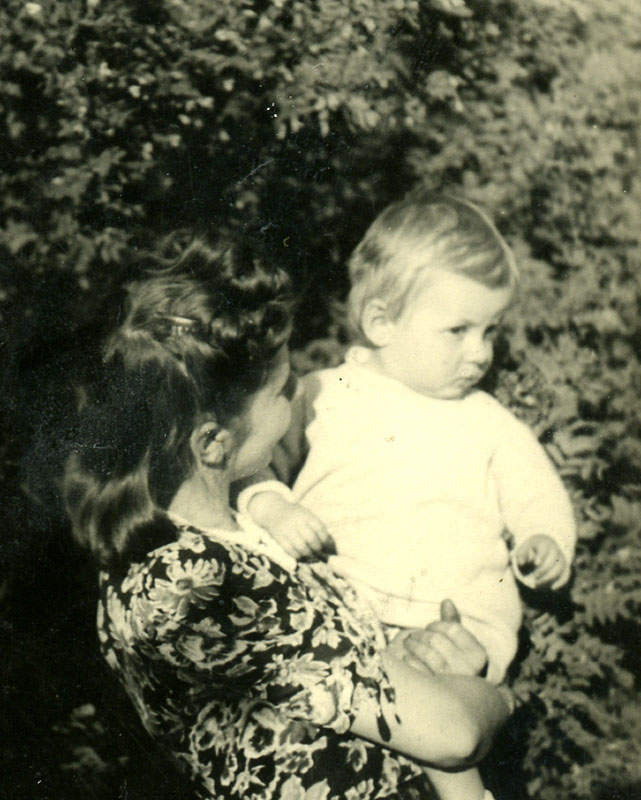 I guess we have to remember that joys and pains are part of motherhood, then smile again…. Here are some images I gathered on that theme, garnished with my words. 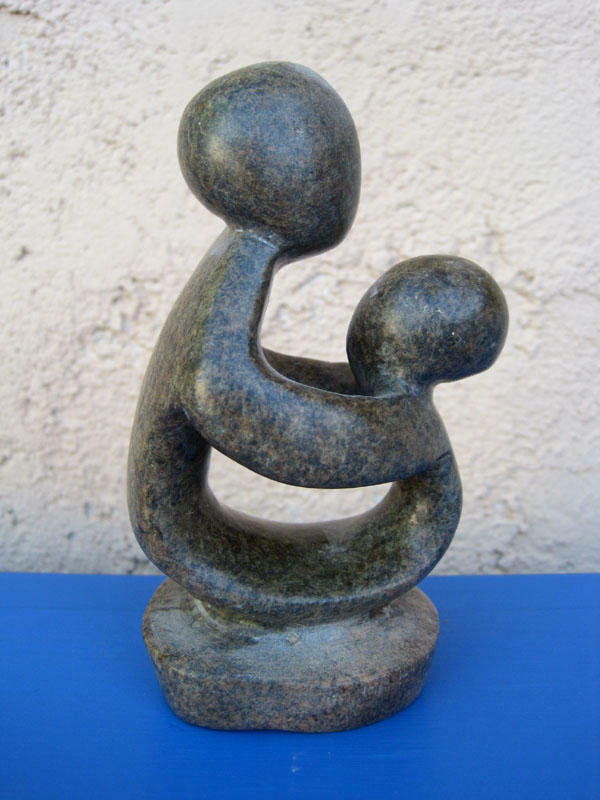 I cherish this small statuette symbolizing motherhood. I received it from my friend Pam, also a mother, several years ago for memories of our motherhood and friendship. The statuette sits comfortably on one of the bookshelves in our Tucson home, but ties me strongly to Cape Cod. So I took its picture using a beige and blue background representing the desert of Tucson and the cool waters around the Cape. So here I am as a mother! 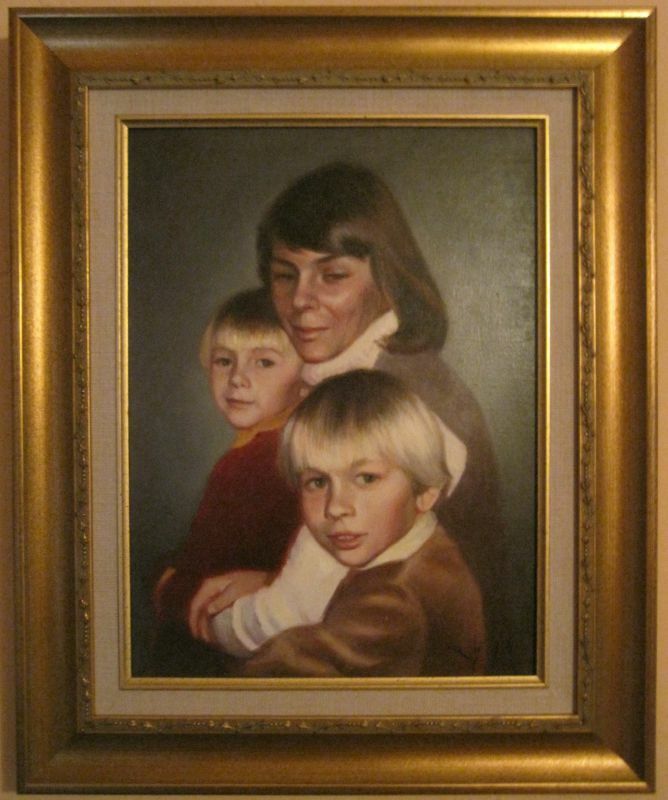 This is a painting created from my very favorite photo of the three of us — me and my two sons — in the 1980s. It is from the time of my single motherhood and it will always represent for me our strong unity during those challenging, yet happy, times — regardless what our reality is today or in the future. The portrait was painted by Doug Rugh, a well-known artist of Falmouth, Massachusetts. The Migrant Mother photo by Dorothea Lange is so well known! Still, it is good to see it again and again as a reminder that bad times have been the reality for many among us, then and now. Lange took this photo of Florence Owens and her children in 1938 in Nipomo, California. You can see more photos of Florence with her children and learn about the photographer’s encounter with them by clicking on the photo or this link. This is a piece of art I bought some time ago in one of the “antique” shops of Tucson. You know, one of those places where you can spend a lot of time looking at things, touching them, having a hard time deciding which ones to buy, because in reality you don’t need them. That was not the case this time! I thought I was buying this Madonna for a friend in Poland, but after bringing her home I could not part with her. For me, she is the best Madonna I have ever seen! I understand her worries and concerns, and I respect her strength and pride. So this reproduction of someone’s art (the piece is not signed), mounted on a very sturdy piece of wood, is hanging in our bedroom. I never feel tired of it. Marie (Sklodowska) Curie sitting on a garden bench with her two daughters does not look all that joyful in this 1905 photo. It is a very rare image of this extraordinary and hard working scientist (native of Poland, citizen of France), a recipient of two Nobel prices (1903 and 1911) for her work. She must have had plenty of concerns about how to combine the demands of her science with her motherhood! When I saw this painting by Christine Lytwynczuk in one of the Tucson galleries, I jumped with excitement. 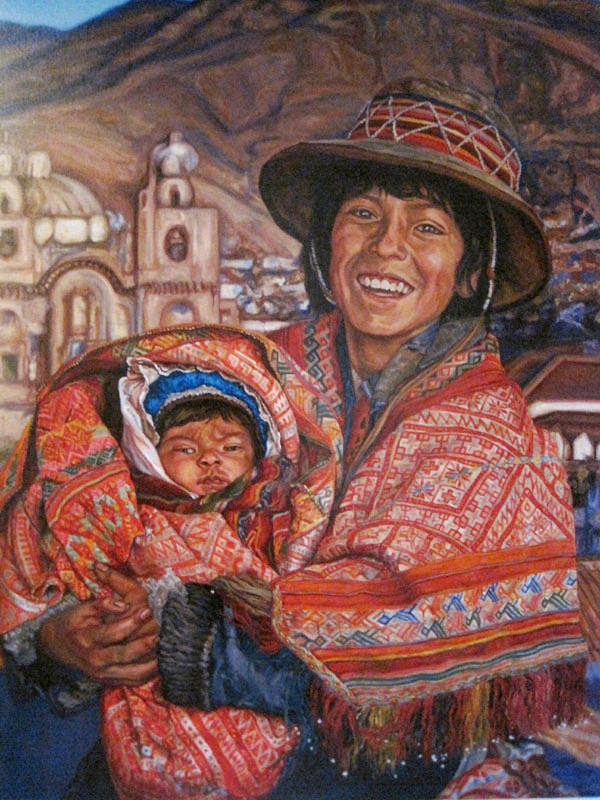 “Here it is,” I thought, “a painting that represents the joy of motherhood!” The large size of the art with its vivid colors of Peruvian clothing, happy face of a mother…a perfect addition to our Tucson home. And so it is prominently displayed in our dining area. 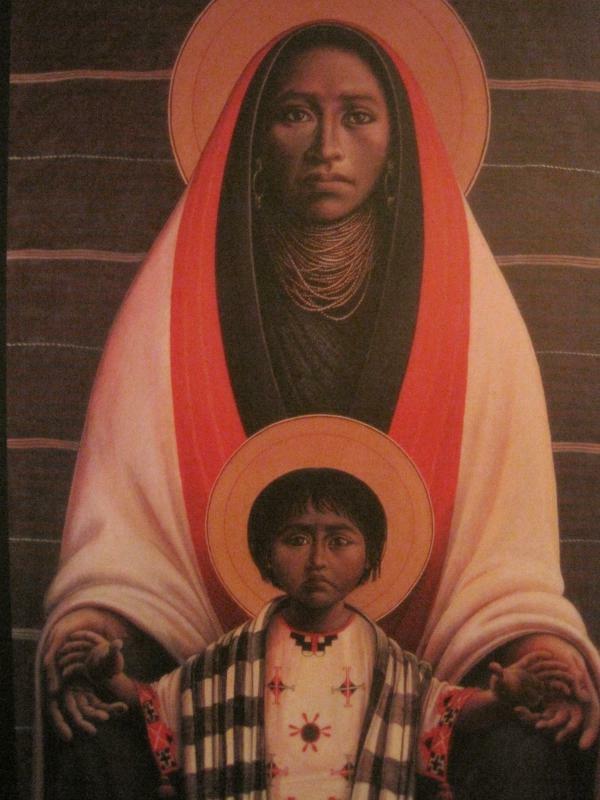 However, there is one thing I have to add — while purchasing this piece I learned that there is no mother in it at all! How come? Well, the happy person holding the baby is a young Peruvian boy, a cousin of that baby. 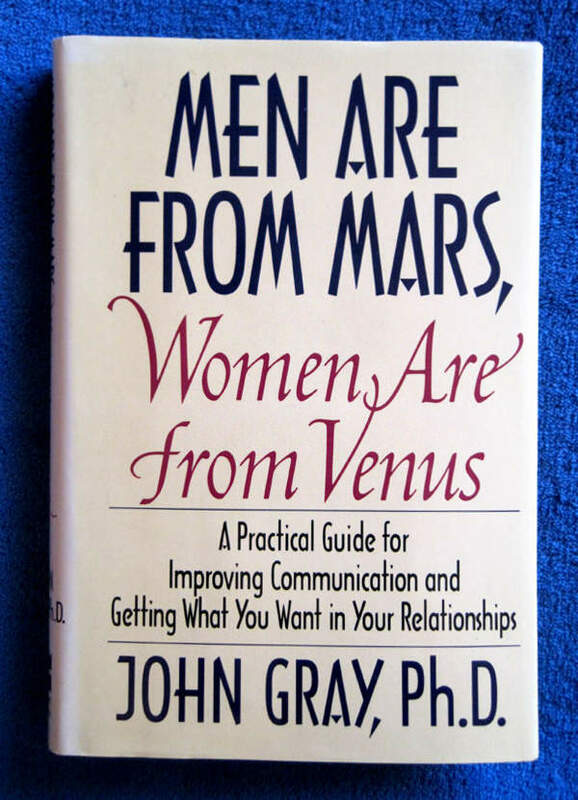 Wow, I was blown away for a while by that discovery. After a while I settled with my feelings. Who cares if it is not a mother or not even a woman? Joy is joy! So I call this piece JOY. Once in a while I even see in it a young, happy Peruvian mother and say to her, “Hello!”. We are so accustomed to see cute photos of women with kids, or animals with their offspring, that plants are not considered as major players in motherhood images. 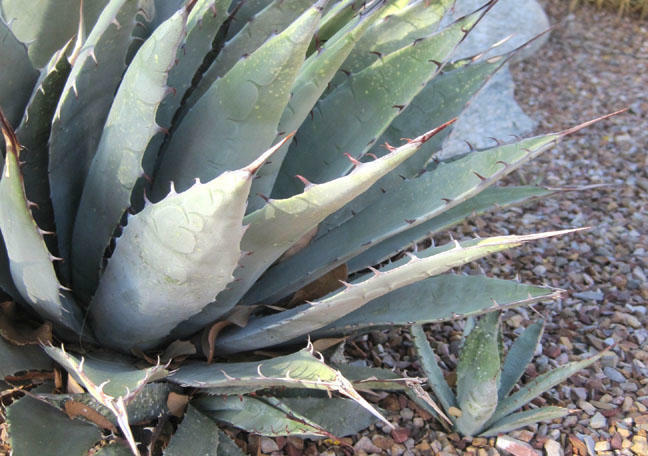 For me, however, Agave plants are very motherly! Just look at this baby plant snuggled under its mother protective and feisty leaves. Don’t you agree? 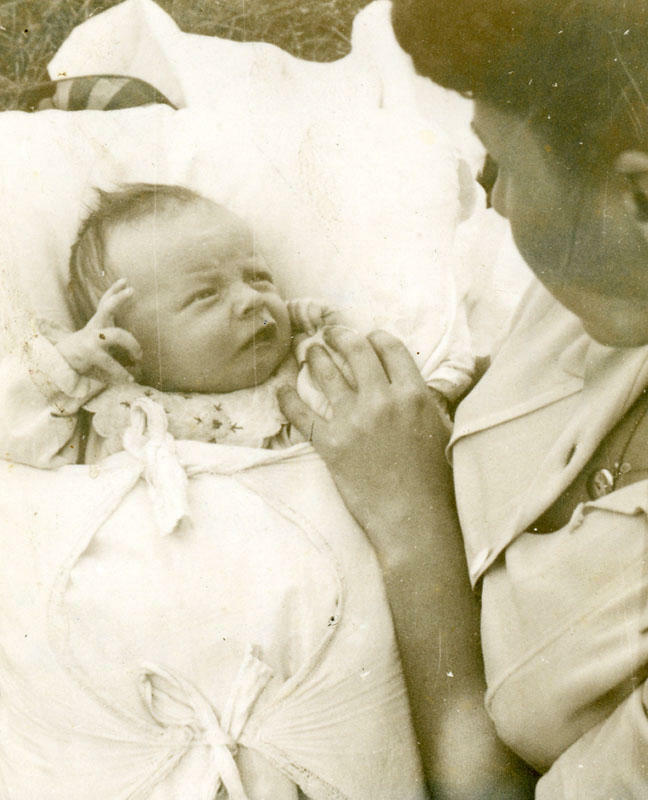 These photos are of my mother and me when we became mothers. (I have placed captions for clarity.) These images are strikingly similar in their composition even though there is over thirty years difference in time, thousands of miles of space, and a huge color spectrum in photo technology between them. I will end these reflections with a quote from the Introduction to the book Letters to Mother, a hefty collection of letters from many famous artists, politicians, historians, philosophers and writers to their mothers — edited by Charles Van Doren. Photo of migrant mother by Dorothea Lange in the public domain. Joy – copyright by Christina Lytwynczuk. 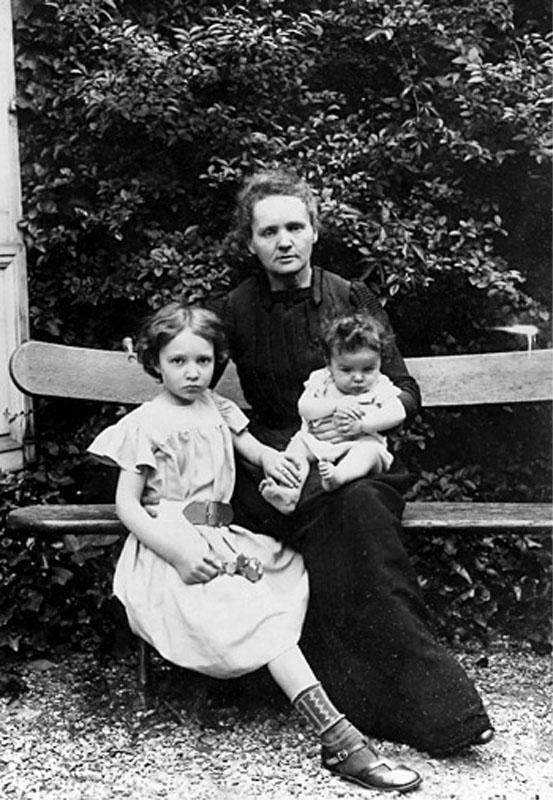 Marie Curie with her daughters copyright by Association Curie Joliot-Curie; photographer unknown. Text and other photos copyright © 2012 by Alicja Mann.